Roohome.com – For those young people who lived alone in a small and minimalist apartment. 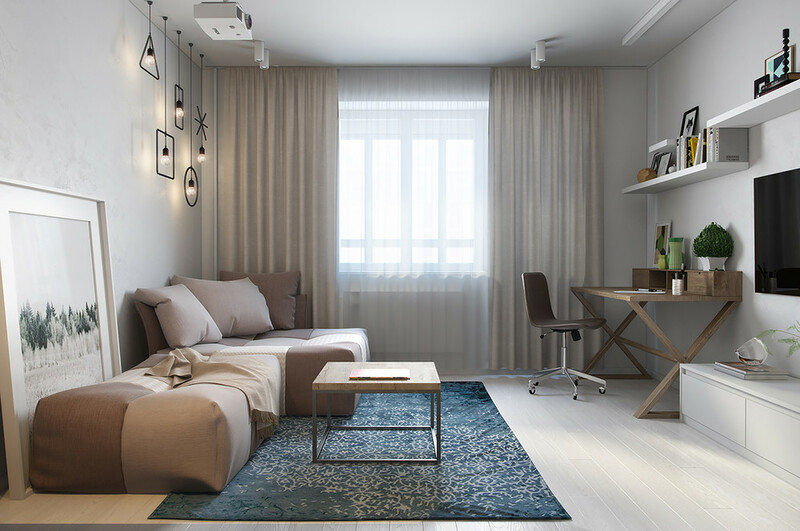 Now you can decorate your small apartment with a minimalist style that is perfect for a young adult. 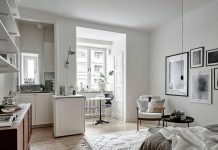 This simple small studio apartment design decorated with styles are unique and interesting. 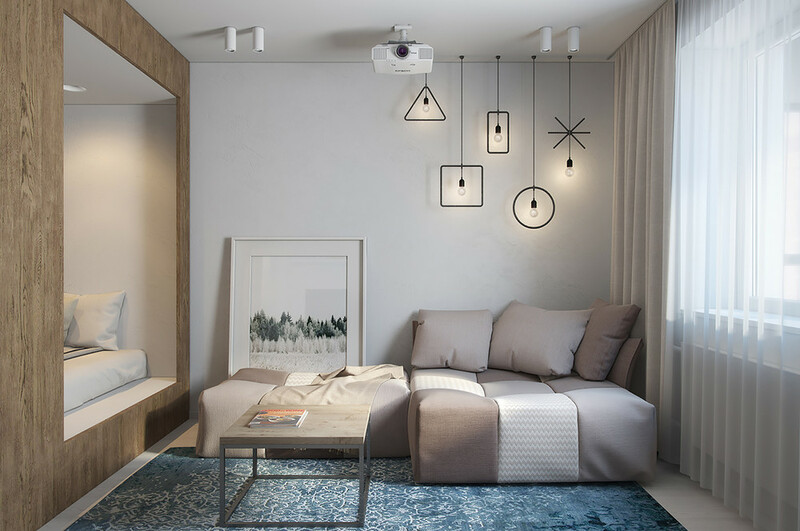 Though your apartment is small but you can decorate and make it a very cool look with a variety of ornaments and minimalist design concept. For it comes on we see how the designers design the simple small apartment design. For the living room here the designer given a small apartment decoration ideas to keep it minimalist. Particularly in the living room and bedroom, the designer makes the concept of an open plan. The bedroom and the living room are made only limited by side with a wooden board used as a curtain divider the bedroom. Besides the bed, there is a living room that deliberately positioned adjacently. 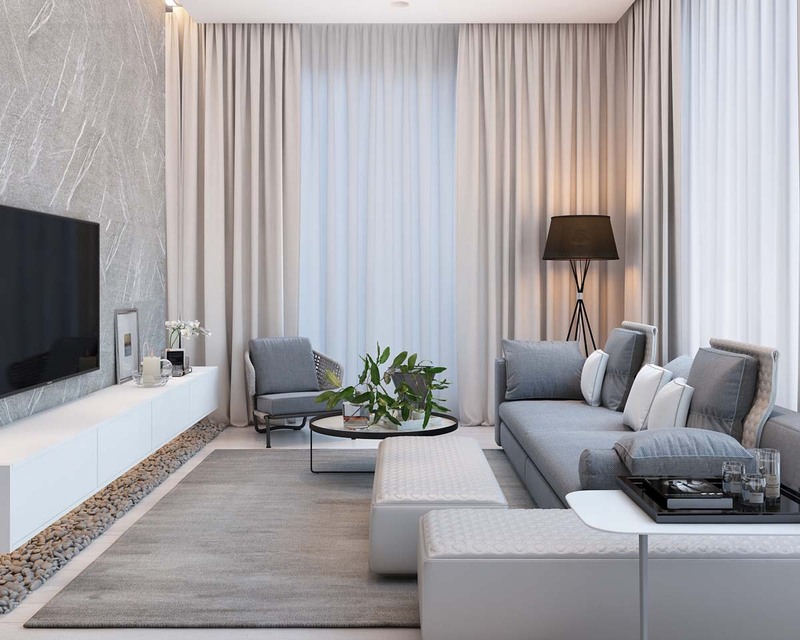 A color that is used in the concept of an open plan living room is brown and pastel color more heat ambiance of your open plan living room for simple small studio apartment decor. 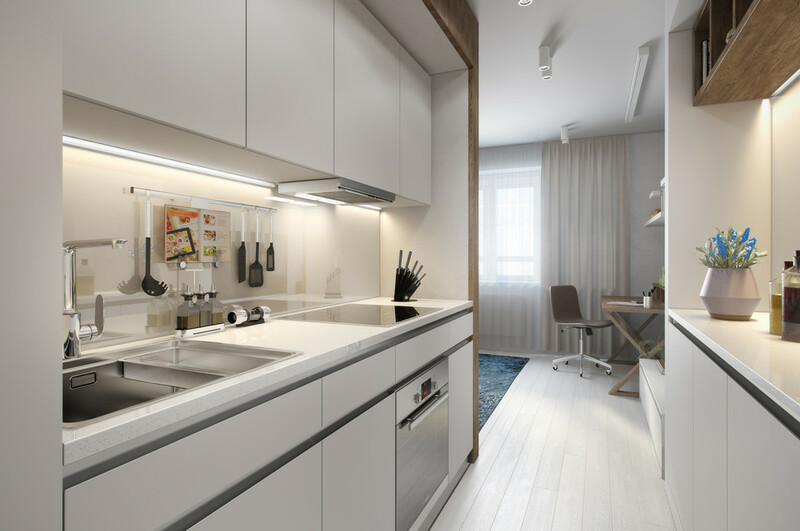 For this part of a kitchen, the designer designing this kitchen is very simple and minimalist. Wood accents on the wall opposite the base deal with the position of the bedroom can help to minimize the existing space. 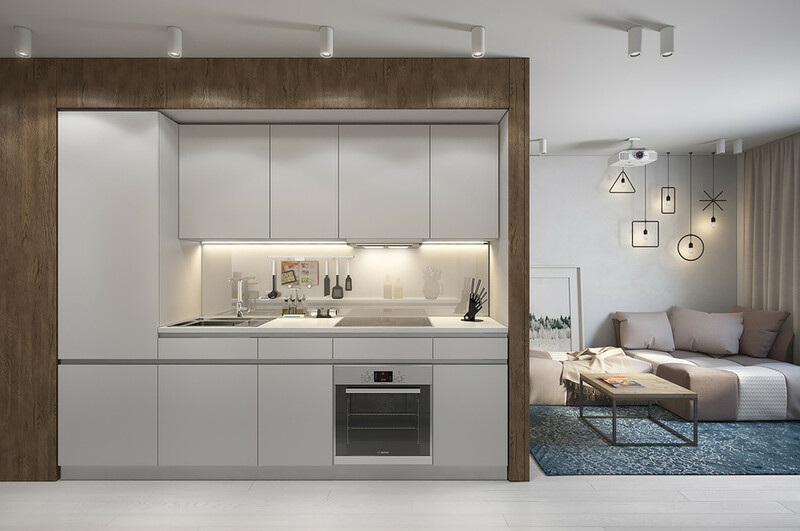 Lights to be used for the kitchen, you can choose a track pendant lights which is perfect for the part the kitchen design in simple small apartment design ideas. Make your kitchen with white small cabinets to cover your kitchen. Do not need to add much of decoration in your minimalist kitchen design. 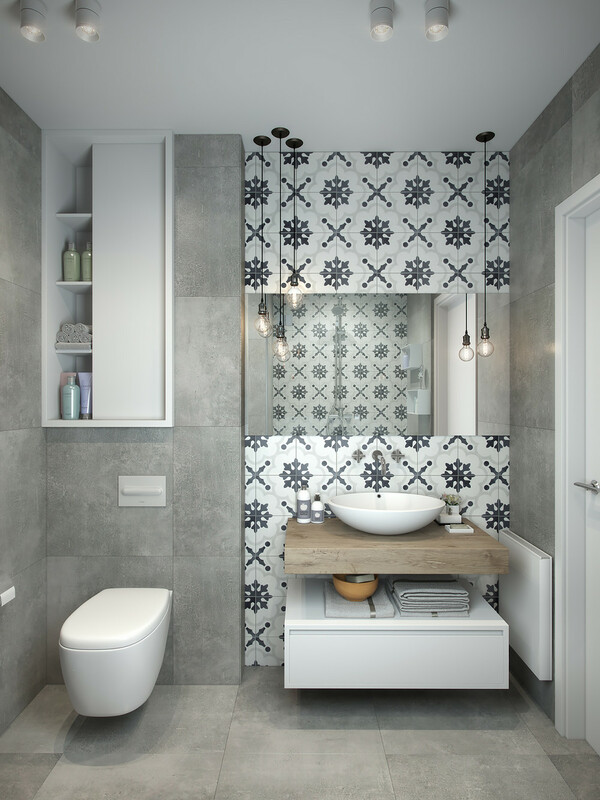 In this part, you can inspire with a trendy tribal pattern tile design for small bathroom design on the wall. 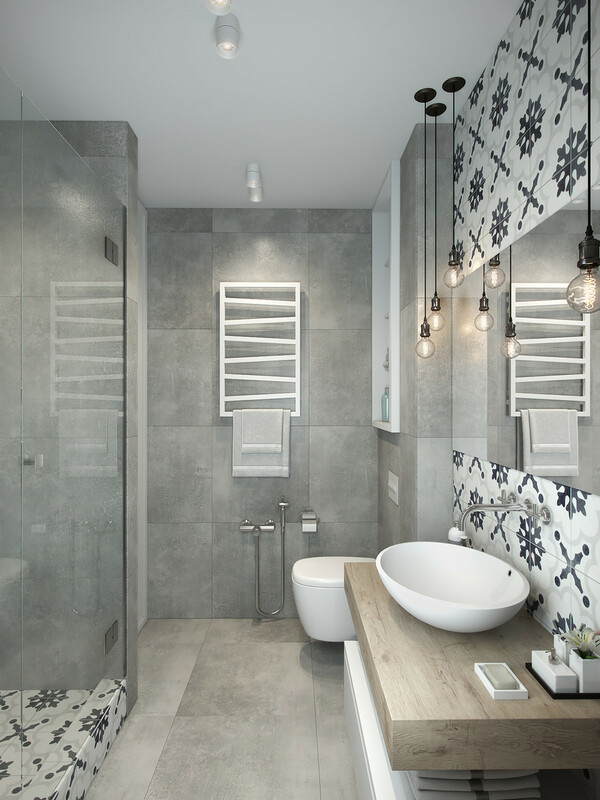 Does not have all the parts of the wall you should cover with this patterned tiles, but you can take just some of the sides to cover with a monochromatic wall pattern. The rest you can use a soft gray ceramic to enhance the beauty of your simple small bathroom decor. In addition, to make this simple small studio apartment design more memorable minimalist additional decorative light bulb shape that you can hang near a mirror. 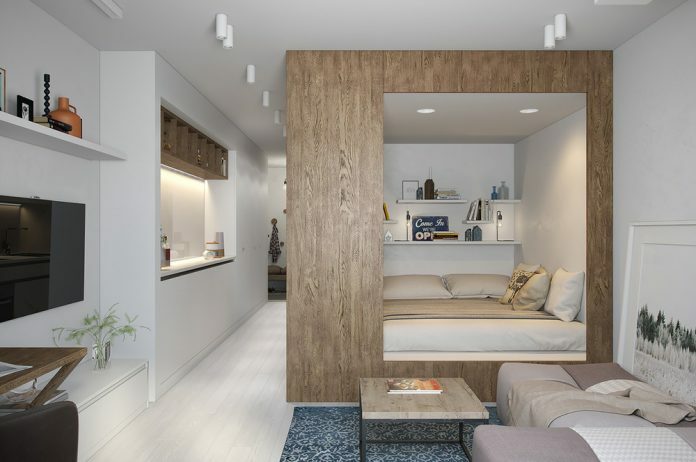 Overall from this detail of simple small apartment design above, did you interested ? 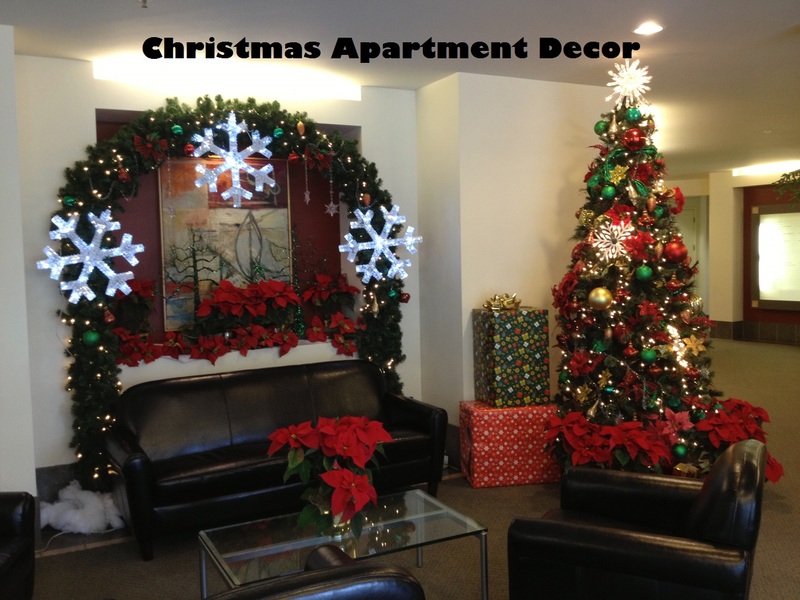 So, just apply it now for your small apartment decoration ideas to change it become more trendy and stylish.